We know lots of facts about dyslexia: It's the most common reading disorder. It changes the way millions of people read and process information. But we know much less about how it feels to people who have it. How it shapes your self-image, your confidence and how people see and react to you. And so I reached out to some really creative people — artists who have dyslexia — to talk about this. One of the most fascinating things I heard is that dyslexia plays a big role in their creative process. Some said their struggle with written words informs their art, and that the struggle to express ideas they can't in writing makes their art unique. 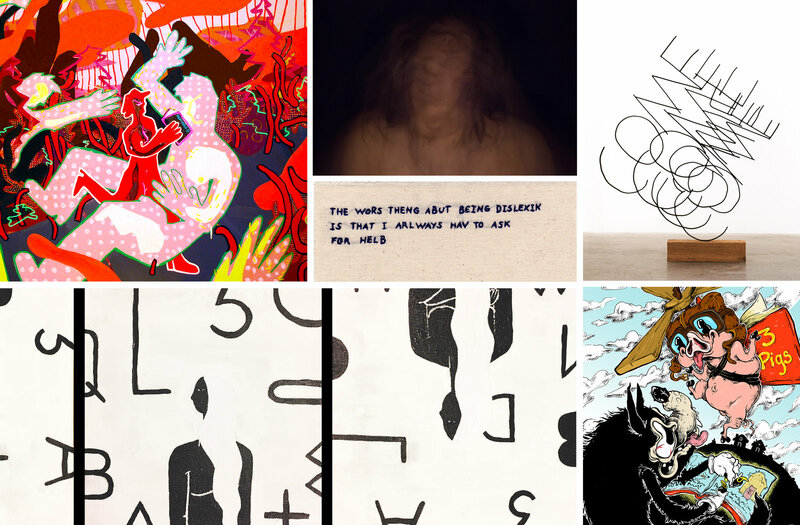 I asked six of these artists to show me through their work what dyslexia is like. Here's what they came up with. You can read the full story on NPR.